The Power of Us marks the twenty-first Pokemon movie, and the second in this rebooted continuity of Pokemon movies, following Pokemon the Movie: I Choose You. While I Choose You served as a retelling of the beloved first season of the Pokemon anime, The Power of Us can feel like a spiritual remake of Pokemon the Movie 2000 (known in Japan as The Power of One, which makes the connection between films all the more apparent). 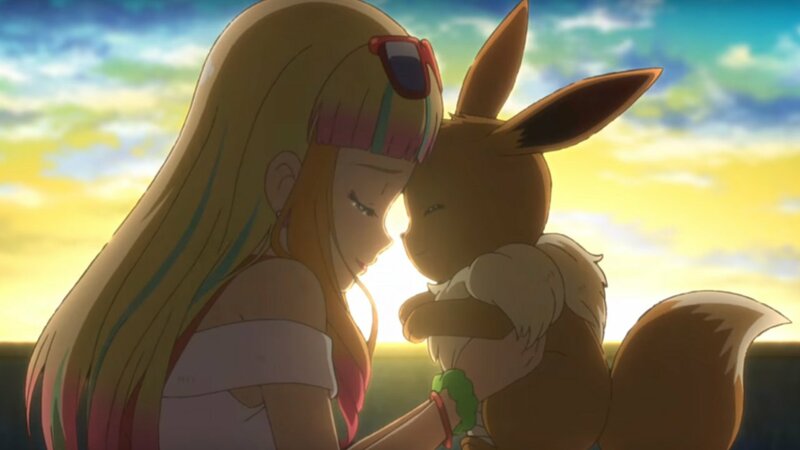 Like I Choose You before it, The Power of Us has more than its share of narrative bumps, but if you’re a fan of Pokemon, it will leave you with a good feeling by the time it’s done. As stated, the movie seems to be something of an homage to Pokemon the Movie 2000, as it features Ash Ketchum traveling to a new town celebrating a festival in honor of the legendary Pokemon Lugia. But whereas its predecessor was a direct remake of the series’ earliest episodes, The Power of Us does create a distinct identity from Pokemon 2000. 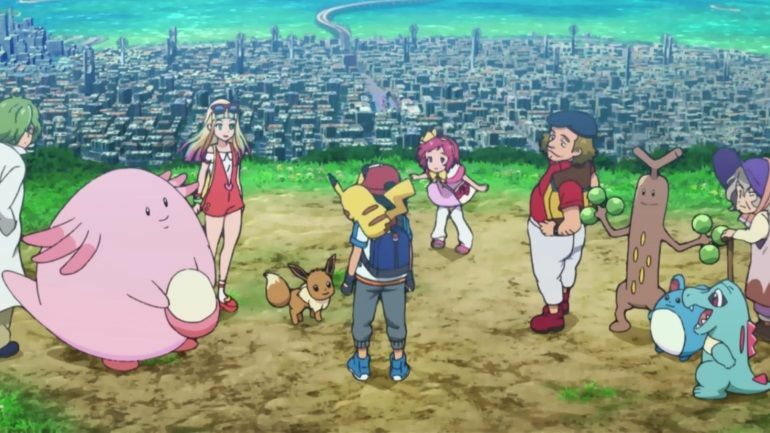 As was the case with I Choose You, this continuity only sees Ash Ketchum and Team Rocket Members Jessie and James as the only returning human characters from the series (of course Pikachu is back, as well as Meowth). The story takes place in Fula City, which is about to have its annual festival celebrating Lugia. But a sacred flame – which serves as a beacon to summon Lugia – ends up missing, which marks the beginning of things going awry for the festival. As more and more things start to go wrong, Ash finds himself helping various citizens of Fula city with different hardships. If there’s one aspect of the story that proves really entertaining, it’s how The Power of Us creates a fun community of characters within Fula City: Margo is the daughter of the city’s mayor, and is secretly friends with the mysterious Pokemon Zeraora. Risa is a Pokemon novice and former athletic runner who has lost her confidence. Toren is a scientist with severe social phobia. Harriet is a cranky old woman who dislikes Pokemon. And the film’s best original character, Callahan, is a compulsive liar who just wants to impress his young niece. The Power of Us serves more of a story about Fula City and its citizens than it is a traditional Pokemon story. Ash doesn’t even seem like the main character for much of the film, playing more of an Obi-Wan Kenobi role and helping people like Margo and Risa with their problems. For the most part, the movie plays like small episodes focusing on different character stories, and how they eventually come together, than it is a story about legendary Pokemon, which is a nice change of pace for a Pokemon movie (though on the downside, this means that Lugia – my favorite legendary Pokemon – is barely featured in the movie, more or less being built up through the whole thing for a small appearance at the end like Luke Skywalker in The Force Awakens). It’s refreshing to have a Pokemon story that doesn’t really have any villain or epic battle, and is instead about the daily lives of people in the Pokemon world. Unfortunately, the film does hit some notable bumps in the road. Although the movie doesn’t revolve around a villain as previously stated, a duo of Pokemon poachers are introduced in a brief second, only to have a lackluster payoff of being featured in a single scene. Why even add them into the picture when those extra minutes could have been spent with characters who actually feel like part of the story? Even bigger issues ensue with elements to the characters’ different stories that often feel underdeveloped and rushed. A brief moment sees Callahan’s niece taken to a hospital, to which Callahan explains that she’s “always lacked energy.” And then it’s never really mentioned again and the girl is fine. Meanwhile, Harriet’s disliking of Pokemon is resolved immediately after she explains her reasons for it. Granted, no one is expecting Pixar levels of storytelling with a Pokemon movie or anything, but it’s still a shame to see a number of elements in otherwise charming stories get shortchanged (just like in I Choose You, Team Rocket seems to only show up out of obligation, as they’re always in the background of the story). 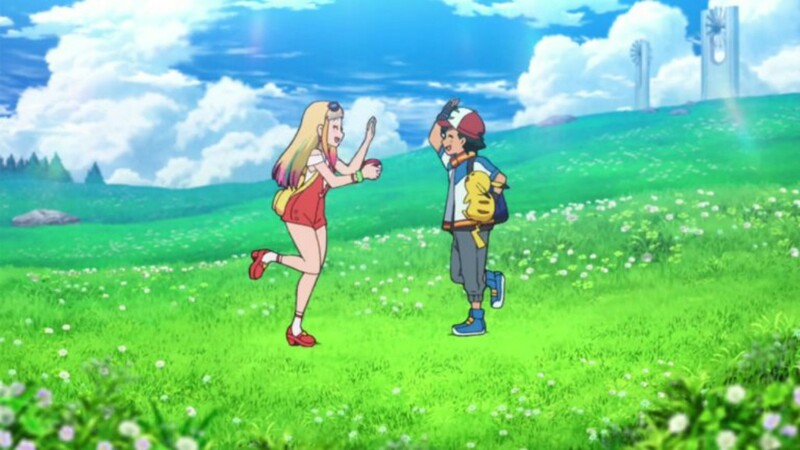 With that said though, the aforementioned nature of the movie being a movie about different people in the Pokemon world is pretty refreshing, the characters ultimately win us over, and it has a nice message about helping others in need. Plus, you get to see all kinds of Pokemon both new and old, and who doesn’t love Pokemon? On top of all that, the film is also one of the best looking Pokemon movies, with unique character designs that are a notable improvement over the forgettable ones in I Choose You, and fluid animation that is among the best the franchise has ever seen. The only downside are some notably aged CG background characters, but that’s a small price to pay for what ultimately is a lively and colorful animated feature. Pokemon the Movie: The Power of Us may not be a technically great movie with all the shorthanded subplots, but it still has the franchise’s unique charm intact. And as commercial as Pokemon is, the series has always had a genuine heart about it, and that’s as true here as ever. If you’re a fan of Pokemon, it should put a smile on your face.